The Vigo Coastal Jacket provides a performance weight, breathable, waterproof and windproof layer. Designed using Guls' technical GCX2 for everyday to difficult conditions. GCX2 fabric will keep you warm, dry and comfortable gaining the most from your watersports experience, allowing you to perform at your best for longer. The hardwearing advanced GCX2 two-layer fabric. Specifically engineered to prevent water penetration, whilst offering breathability, allowing perspiration moisture to evaporate. 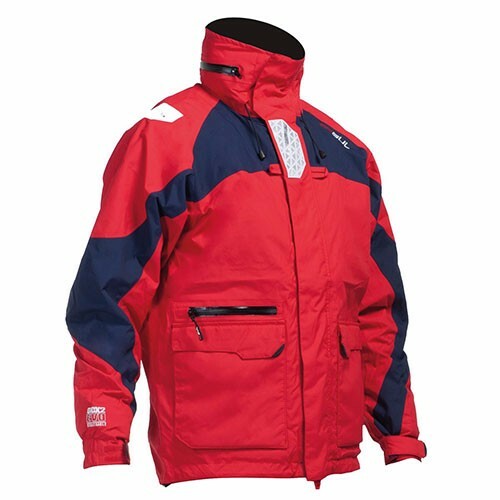 Offering waterproof and breathability ratings of minimum 5000 mm and 5000 g/m/24h. All seams fully taped for long lasting water proofness. The Vigo is the perfect coastal sailing jacket. With 100% waterproof heat taped seams and brushed mesh lining for lightweight performance and comfort. Dual storm flaps and high visibility 3-way adjustable stowaway hood.